Sequels can sometimes be such a letdown, and although I was aware that “Mary Poppins Returns” had come to our big screen, I took my time to actually go and see it. I went to a matinee show and was thrilled to find just about eight of us in the whole cinema hall, so it was a much more intense experience, without any ringing or other noises from phones. The film was such a delight to the senses that I staggered out only after the last credits had rolled up and the last note of the soundtrack had faded away, and I impulsively bought tickets for the whole family for the evening show. And with our Parra cousins joining in, it became a family movie night out. The very idea of another Mary Poppins film after over half a century (fifty-four years, to be exact) was audacious. Whoever took up the challenge would have to be prepared to be judged by that very high benchmark. But film director Rob Marshall quite creditably does pull it off in what is clearly a labour of much love and detail. In an interview, Emily Blunt (Mary Poppins in this film) reveals how she found her cues and inspiration for the role from the eight books by Pamela Lyndon Travers, who created the character, rather than from the 1964 film. Consequently her portrayal tries to be “enigmatic and batty and funny and vain and rude, and all of these things that were so delightful to play”, rather than the clipped-accent prim-and-proper Julie Andrews version. The star cast also includes Lin-Manuel Miranda, Colin Firth, Meryl Streep, Angela Lansbury among many others. All of them appear to be thoroughly reveling in their screen roles. Firth’s character (no fault of his, as he’s merely following script and direction) is a little two-dimensional, a cardboard cut-out villain, heartless bank manager (William ‘Weatherall’ Wilkins) bent on ruining the Banks family and taking possession of their house, and in general profiting off the misfortunes that befall all the clients of Fidelity Fiduciary Bank during the dark years of the Great Depression (called “The Great Slump” in the film) of the 1930s. If you’re familiar with the previous film and the P. L. Travers books, you’ll find this sequel in brimming, almost frame-by-frame, with cross-references, or little “easter eggs” that link back and forth all the time. But even if you don’t, this film is a “marvelous, mystical, rather sophistical, very top drawable, always encorable, simplest sensational, standing ovational” treat. It takes one back to the glory days of the brilliantly written musicals, where music and lyrics fit each other so perfectly. The partnership of Marc Shaiman (song lyrics and music and film score) and Scott Wittman is truly magical. Maybe I’m lavishing too high praise, but if they follow through with more collaborations of such high calibre, they could well be remembered and mentioned in the same breath as Gilbert and Sullivan, or Rodgers and Hammerstein, or even the Sherman brothers (who wrote music and lyrics to the first Mary Poppins film) and other legendary partnerships. It was such a heartwarming experience, having such a glorious old-world-style lush orchestral sound envelope you in surround sound, da capo al fine. And unlike our films, of course, there isn’t any ‘playback’ singing: the actors themselves sing their parts. Meryl Streep seems to be landing more and more singing roles after the runaway box office success of the Mamma Mia! franchise (the first Mamma Mia! Film is still Streep’s highest-grossing film to date, and the highest-grossing musical film ever), and she pulls out all the stops in the song ‘Turning Turtle’ in her cameo role of Topsy (short for Tatiana Antanasia Cositori Topotrepolovsky). Colin Firth, who also co-starred (and sang) with Streep in the Mamma Mia! films, was perhaps wisely not given any singing part. Emily Blunt seems born to sing her part, and although comparisons will inevitably be made with Julie Andrews (who turned down a cameo role in the sequel as she wanted it to be “Emily’s show”), she has made the role her own. She watched a lot of 1930s films to get her distinctive accent and lilt to her spoken and sung voice. Lin-Manuel Miranda was a real discovery for me. Looking him up on getting home, I learnt he was also composer, lyricist and playwright, with a really interesting back-story to his quirky name. He worked hard with a dialect coach, and like Blunt also watched period films to acquire a sufficiently Cockney accent. The animation scenes in “Can You Imagine That?”, “The Royal Doulton Music Hall” and “A Cover is Not the Book” were painstakingly done, to match those from the original film. Several animators were called out of retirement (and they gladly obliged!) to hand-paint the scenes frame-by-frame as it would have been done in the 1960s. For many, (although Travers, the creator of Mary Poppins was vehemently opposed when the first film was being shot), the juxtaposition of live and animation characters are the highlight of the film. My son’s favourite song (although he loved them all) was the rather pensive, woeful soliloquy “A Conversation”, sung by Ben Whishaw (who plays Michael Banks, recently widowed father of the three children). The slow-waltz lullaby tempo and the soft, music-box-like accompaniment give the song an ethereal feel, and throw his voice into sharp relief, bringing out the pathos in the lyrics. The Twelve Knights of England, in São Tomé vaddó! It’s funny how there can be fascinating stories right there, under your very nose. I remember as a little boy being led by the hand by my father through the vaddó, and on one of those walks he told me the story behind the name of one of its streets: Travessa do Magriço. I was very young, distracted, and not really paying attention, and all I retained was the meaning of the word Magriço (thin or skinny), and that it was somehow connected to the 1572 epic poem ‘Os Lusíadas’ by Luís Vaz de Camões. Thanks to the labour of love by Panjim’s resident historian Vasco Pinho, and his painstaking documentation of the city’s history in four volumes “Snapshots of Indo-Portuguese history” and his most recent “Meu Pangim Inesquecível” (My Unforgettable Panjim), I have been able to learn more, which inevitably tempts me to probe even further. The road earlier mentioned, Travessa do Magriço, runs to the right of Horseshoe Restaurant, and connects the Corte de Oiteiro to the Rua de Ourem. It is a narrow road, and Magriço describes it well, literally. But there’s even more to it, as we shall soon see. The other road I’d like to discuss but no longer in existence is Travessa dos Doze da Inglaterra (Road/street of the Twelve of England), which would have connected the interior of the São Tomé vaddó to the present Rua D. João de Castro, somewhere near today’s Post Office. Both these roads, one present and one past, although located far apart in the vaddo, are linked by a common story, the 15th-century Portuguese chivalric legend of Os Doze (Cavaleiros) da Inglaterra, or The Twelve (Knights) of England. According to it, twelve Portuguese knights travelled to England to avenge the honour of twelve English ladies-in-waiting (in the household of the Duchess of Lancaster) who had been insulted by twelve English knights. The ladies sought the help of their master, John of Gaunt, Duke of Lancaster, who couldn’t find any English knights to challenge the offending twelve knights. The commonly cited year for this fanciful story is 1390, which might have some factual basis as it follows the 1387 Anglo-Portuguese alliance or treaty (widely considered to be the oldest alliance between any two nations, still in force) sealed by the marriage of D. João I of Portugal and Philippa of Lancaster, daughter of John of Gaunt. (The couple’s several children would be remembered in Portugal as the Illustrious Generation, Ínclita Geração). It would have to be after 1389 when John of Gaunt returned to England after his failed Iberian campaign (to claim the crown of Castile) and before his death (1399) and of his wife the Duchess of Lancaster, Constance of Castile (1394). So 1390 fits well. It is possible that the Castilian Duchess had Castilian ladies-in-waiting, which would explain their being insulted and that no English knight was willing to rise to their defence. Many of the nobility blamed the Duchess for instigating the Duke’s ill-advised Iberian military misadventure. It is also possible that at least some of the Portuguese knights were already in England after the military campaign. The story is told in much detail in ‘Os Lusíadas’ in Canto VI, Stanzas 40-69. When I was young, I had no easy access to an English translation, but today one can read not only the 1776 translation by William Julius Mickle (available online), but also the contemporary, elegant version by Landeg White (1940-2017), whom many of us had the good fortune to meet just before he passed away. In the epic, a soldier named Fernão Veloso relates it to his companions to while away the time and inspire them as they sail with Vasco da Gama on the voyage to India. The Portuguese poet Joaquim Teófilo Fernandes Braga (1843-1924) in his 1902 poem ‘Os Doze da Inglaterra’ (and this might well have been the contemporary stimulus for the naming of the roads? There was an Avenida in Portais named after Teófilo Braga, who was also first President of the Provisional Republican government of Portugal that deposed the last monarch, D. Manuel II) gives the story this twist: John of Gaunt appeals to his son-in-law D. João I of Portugal, and scores of Portuguese knights volunteer, but twelve are chosen by the Queen, Philippa of Lancaster, by drawing names from an urn. All twelve were meant to sail to England from Porto, but one of them, “o Magriço”, decided to instead go overland via Spain and France. The day of the tournament arrived, and all the other knights were assembled at the venue (Smithfield, London), leaving one lady (called Ethwalda in one version) potentially without anyone to defend her. But (you guessed it!) Magriço turned up at the last minute, and the day was saved, with all the ladies’ honour defended. So who were the Twelve? Portuguese Baroque composer and commentator Manuel Correa named five: Álvaro Gonçalves Coutinho (nicknamed ‘o grão Magriço’); Álvaro Vaz da Almada; João Pereira da Cunha Agostim (the last name added after killing an English knight of that name in a duel); Lopes Fernandes Pacheco; and Pedro Homem da Costa. A 1732 tract by a writer identified as Vedouro names the remainder: the brothers Álvaro and Rui Mendes Cerveira; Soeiro da Costa (future captain of Henry the Navigator); Luís Gonçalves Malafaia; Martim Lopes de Azevedo; Rui Gomes da Silva; and Álvaro de Almada (nickname Justador). Having killed some of their English opponents, and being threatened with revenge, ten of the twelve left for Portugal as soon as they could. But Magriço and Álvaro Vaz da Almada ventured further into Europe. 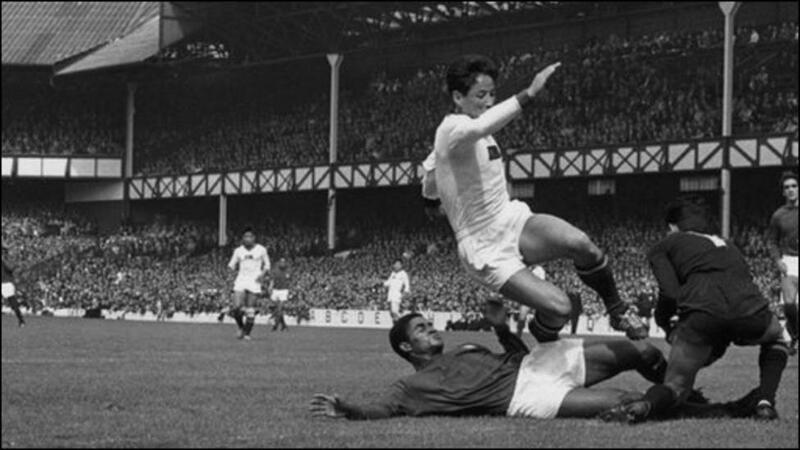 When the Portuguese national football team led by Eusébio da Silva Ferreira made their debut in the 1966 FIFA World Cup in England, reaching third place, the Portuguese media gave them the nickname ‘Os Magriços’ in a reference to the legend. The legend is invoked off the sports field as well. 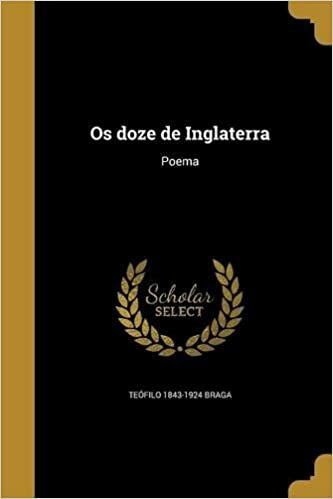 In fact, it is thought that Teófilo Braga’s 1902 poem Os Doze da Inglaterra was written as a reaction to the 1890 British ultimatum to Portugal over the Mapa Rosa, the “pink” land corridor between Angola and Mozambique claimed by Portugual but occupied by force by England, giving rise to strong anti-British and nationalist sentiment in Portugal in its wake. When I began reading British historian Peter Frankopan’s 2015 best-selling book ‘The Silk Roads: A New History of the world’, I had an inkling that Goa would feature at some point(s) in it. And it does, several times. So no surprises there. But the book not only re-emphasised what was already common knowledge, but also shed new light on historical episodes involving Goa that certainly I had hitherto not been aware of. Take the story of the ‘Madre de Deus’, for instance. It made me look it up further, and there hangs a truly exciting tale. It was the year 1592, nearly a century after the Portuguese 1510 conquest of Goa. Goa was experiencing its ‘Dourada’ phase, and the Armadas da Índia (Portuguese India Armadas), large fleets of ships did the Carreira da Índia (“India run”) annually back and forth between Lisbon and Goa. The timing of these trips depended on the monsoon wind. It was a southwesterly wind (i.e. blew from East Africa to India) between May and September, and became a northeasterly (from India to Africa) between October and April. Typically the ships would commence the return journey from Goa in December-January, groaning under the weight of spices, silks, textiles and precious stones and other booty. Once in the Mozambique channel, they would catch the Agulhas Current to round the Cape of Good Hope. In the Atlantic, their sails would catch the southeast trade winds to the west of Ascension and Saint Helena as far as the doldrums, then sail almost straight north to the Azores islands, where they would catch the prevailing westerlies, sailing due west into Lisbon. Since 1580 (and this would prevail until 1640), the Iberian Union had joined the crowns of Portugal and Spain, which put the 1373 Anglo-Portuguese Treaty into abeyance. The Anglo-Spanish war (1585-1604) was in full swing, with Spain still smarting from the rout of their mighty Armada in 1588 (which had actually set sail from Lisbon) by England. Portuguese vessels were now fair game for the English Royal Navy. Ever since Henry VIII broke away from the Catholic Church in 1534 to form the Church of England in order to marry his mistress Ann Boleyn, England found itself isolated from the rest of Christendom, while Spain assumed an ever-increasingly dominant role within it. The 1494 Tratado de Tordesillas (Treaty of Tordesillas) had neatly divided the ‘newly discovered lands’ outside Europe between the Portuguese Empire and the Crown of Castile, with the approval of the Pope. Now, with the Iberian Union of these two, plundered riches from both halves of the world poured into Iberia, while England, which didn’t recognize the treaty, looked on enviously. But whether it was Aztec gold or Indian spices or Chinese silks, the riches arrived by sea, and this is where England struck, and often. In June 1592, the English pursued the 800-ton Portuguese carrack ‘Santa Cruz’ and ran it aground onto one of the Azores islands. Under threat of torture, the Portuguese crew revealed that a fleet of five ships (including the Santa Cruz) had departed from Goa, and that the others were expected soon: ‘Buen Jesus admiral’, ‘Madre de Deus’, ‘San Bernardo’, and ‘San Christophoro’. ‘Madre de Deus’, captained by Fernão de Mendonça Furtado, was the largest of the fleet, a thirty-two gun vessel of 1,600 tons, one of the Portuguese crown’s greatest and one of the largest sailing ships ever built. She was sighted on 3 August, and engaged by the much smaller, perhaps aptly-named ‘Dainty’. Others: ‘Golden Dragon’, ‘Roebuck’, ‘Foresight’ and ‘Prudence’ joined the attack as the ‘Battle of Flores’ (so named as it took place off Flores, one of the Azores islands) progressed. The ‘Madre de Deus was boarded at 10 pm after bloody hand-to-hand combat, its decks strewn with bodies. It was nearly destroyed when a cabin filled with ammunition caught fire, but saved by quick English action on account of her precious cargo. Capt. John Burrough, who along with Sir Walter Raleigh had led the expedition, wrote in his report: “God’s great favour towards our nation, who by putting this purchase into our hands hath manifestly discovered those secret trades & Indian riches, which hitherto lay strangely hidden, and cunningly concealed from us”. Among these riches were chests filled with jewels and pearls, gold and silver coins, ambergris, rolls of the highest-quality cloth, fine tapestries, 425 tons of pepper, 45 tons of cloves, 35 tons of cinnamon, 3 tons of mace and 3 of nutmeg, 2.5 tons of benjamin (a highly aromatic balsamic resin used for perfumes and medicines), 25 tons of cochineal and 15 tons of ebony. There was also a document, printed at Macau in 1590, containing valuable information on the China and Japan trade, which was “enclosed in a case of sweet Cedar wood, and lapped up almost a hundredfold in fine Calicut-cloth, as though it had been some incomparable jewel”. The haul from the Madre de Deus, which was then towed into Dartmouth harbor on England’s south coast, was reckoned to be at last half a million pounds, worth more than half of England’s regular annual imports at the time. While at Dartmouth, it was subjected to looting on “an industrial scale”, from “all manner of traders, dealers, cutpurses, and thieves from miles around.” By the time order was restored by Sir Walter Raleigh, the cargo’s value had shrunk to £140,000. Despite this, ten freighters were needed to carry the treasure around the coast and up the River Thames to London. Thanks largely to the haul from the ‘Madre de Deus’, the expedition yielded the reigning monarch of England Elizabeth I a 20-fold return on her investment. The other result of this incident was that England saw first-hand how staggering were the riches of the East. The Macau document became the template for voyages that would eventually lead to the establishing of the East India Company in 1600. Isn’t it ironic? A ship that set sail from Goa gets ambushed by the English off the faraway Azores, and becomes the stimulus for what would eventually be the British rule over the Indian peninsula? I try to imagine the port in Goa (today’s Old Goa, surely?) where such a large cargo was loaded. Who did the loading? Who were the traders responsible for the cargo; were they Portuguese descendentes, mestiços, or native Goans? How did they deal with such a catastrophic loss? Was the cargo insured against such eventualities? It was a colossal gamble, loading such a precious consignment in one ship. Even setting aside enemy raids (and it was wartime, so a clear and present danger), there was always the risk of shipwreck due to stormy weather. Did it change the way future shipments were sent out? I don’t how long Inox Porvorim has been around, but I was never tempted to visit until a few days ago, to see the much-anticipated ‘Bohemian Rhapsody’, the 2018 biographical film about the British rock band Queen, whose flamboyant poster-boy was, of course, Freddie Mercury (1946-1991). I wasn’t surprised to find so many familiar faces, young and old, in the auditorium. Queen’s music speaks across generations. And the big draw, on-screen as in real life, was Freddie Mercury. The film didn’t disappoint, and the karaoke-style lyric texts certainly helped. I found the narrative a little disorienting, but I guess one does have to leap across time to cover such a vast career. 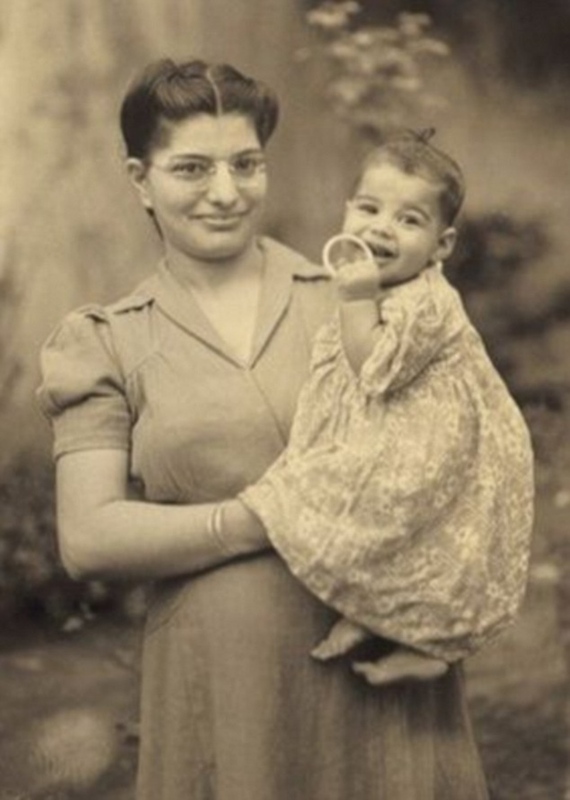 I’m not sure how critical Bulsara Sr. (Freddie’s father) was of his son in real life. I’ve not come across explicit references, but I’m sure the film was well-researched. The moments that truly moved me (to tears sometimes) were his awareness of his sexual orientation, the press hounding him about his lifestyle, and his devastating loneliness. What amazes me about Mercury’s music is his impressive pianistic skill and his remarkable grasp of harmony, chord progression, polyphony, counterpoint and so many aspects of music that elude others with even a conservatory education. The film and so many Mercury biographies just gloss over this crucial incubation period in his life. But apparently the headmaster at St. Peter’s English boarding school Panchgani realized little Bulsara had a gift for music, and persuaded his parents to pay for piano lessons (an instrument his parents had started him on a year before, age seven) in addition to his school fees. This early encouragement and endorsement from such an authority figure must have been such a confidence-builder to the eight-year old. How different would Mercury’s life have been if this headmaster had not been so perceptive, or been indifferent? What if his parents had brushed away the advice and dismissed music as a frivolity? 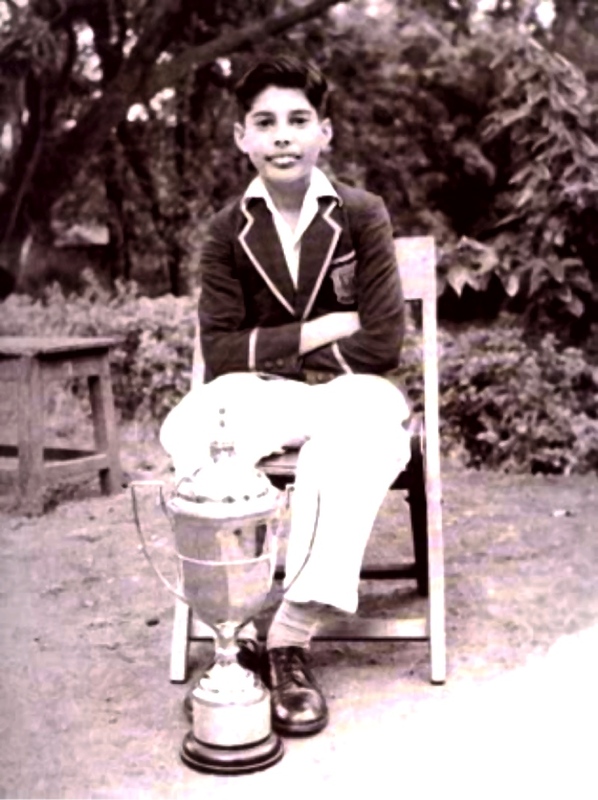 The unsung heroes in Mercury’s life are this headmaster, his piano teacher(s), the director of the school choir and theatre company who gave him his first taste of music, of the stage and acquiring a stage presence. Sadly we don’t know their names. At Panchgani, he got to Grade IV level in both piano and theory. The lessons spanned just a few years, but must have given him a good musical foundation. He and four school-friends formed a band, the Hectics, with him at the piano. Right then, a friend recalls he had “an uncanny ability to listen to the radio and replay what he heard on piano”. London of course would have been a huge eye-opener in 1964 when the Bulsaras fled there from Zanzibar. They probably had a piano at home, and Mercury taught himself guitar. Much of the music he admired was guitar-oriented: Jimi Hendrix, the Who, the Beatles, David Bowie and Led Zepellin. How did he attain such phenomenal heights as songwriter, instrumentalist and singer with no real formal training? He was self-deprecating about his pianistic skills, to a fault. I know comparisons are odious, but in terms of sheer complexity, inventiveness, the colour and textural richness of his compositions, the poetry and wit in his lyrics, his pianism, his staggering vocal range (bass low F (F2) to soprano high F (F6)) and control, he far surpasses the likes of someone like Elton John for example, who did have the benefit of studying at the Royal Academy of Music and from private tutors. Take as exhibit A just the Queen Greatest Hits album, where 10 of the 17 tracks were his: besides ‘Bohemian Rhapsody, there’s ‘Killer Queen’, ‘Somebody to Love’, ‘We Are The Champions’, ‘Bicycle Race’, ‘Don’t Stop Me Now’, ‘Crazy Little Thing Called Love.’ One doesn’t need to dissect or analyse any of them to know they’re pure gold, but they are, each in their own different way. I think the secret was his deep passion for music. This meant that he would have spent hours at his instrument, whether voice, piano or guitar, practicing, experimenting, pushing boundaries all the time. He was constantly thinking in musical terms. 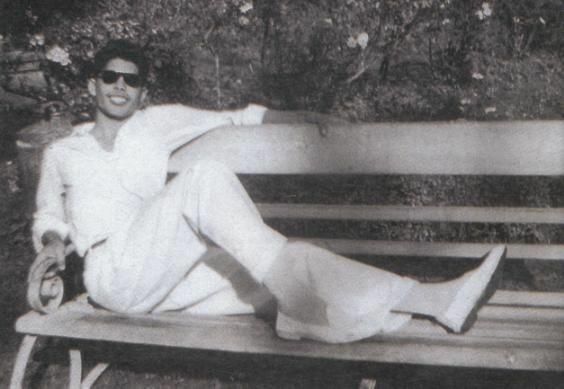 The inspiration for ‘Crazy Little Thing Called Love’ came to him while soaking in the bath-tub of a Munich hotel; he asked for the piano to be brought to the tub, and wrote it all down in ten minutes! The other aspect is a spin-off on that same love for music: no genre was out of bounds or uninteresting for him. He probably listened to all kinds of music, on the radio and television, on his player, and live at pubs, theatres and concert halls. Too many musicians become ‘specialists’ too soon, and their growth is stunted precisely because they shut themselves off from such richness from those quarters. All genres, from opera to rockabilly, progressive rock, heavy metal, gospel and disco bled into his work. Music for him was not compartmentalized, but one great continuum. I always thought Mercury was buck-toothed (his nickname in school was ‘Bucky’! ); the film enlightened me about his supernumerary incisors: While most of us have four (two each in each jaw), he apparently had twice as many, certainly in his upper jaw! Whether this really widens the vocal range or not, I can’t say. But he never got any corrective dental work, precisely because he didn’t want to take even the slightest chance it could adversely affect his vocal range. Over a quarter-century after his tragically premature death, Freddie Mercury still holds us all in thrall. It’s A Kind of Magic! When was the first time you ever heard the Colonel Bogey march? If you’re a Don Bosco past pupil and from around my generation, it almost certainly was at the school march-past, played by the school brass band. Whenever I think of a “march-past”, as if on cue, this tune starts playing in my head like a Pavlovian reflex. And vice versa; when I hear the Colonel Bogey march, I remember school and the march-pasts. I used to love participating in whole march-past shebang, the drills and the actual parade, just to be able to hear this tune being belted out with gusto by the school band, many of whose members were my own classmates. If the march-past ended while Colonel Bogey was playing and they had to end it abruptly, I used to really feel cheated. They played other marching ditties as well, but none (to me) as jaunty as this one. I can still picture Mestre Cota conducting the band in the porch area of the old Oratory building, as we marched past on the ground in front of it. I asked my band classmates what the tune was called, and seriously thought they were pulling my leg when they told me. I used to be so envious of my band classmates; all I had was a measly violin and bow made of wood, horse-hair and strings, whereas they had shiny metal contraptions with convoluted tubing, complex valve mechanisms and keys. And their band could really pack a crash, bang and wallop that could drown out anything a bunch of strings could do. The band project, if I’m not wrong, was the initiative of Mestre Santana Cota from Santa Cruz, a very versatile musician indeed. From my own personal recollection, I’ve heard him play the graceful pedal-propelled pump organ in the choir loft of the São Tomé chapel (which sadly sometime in the late 1970s was unceremoniously replaced by the electronic keyboard, a far cry from the delicious ground-vibrating sonority of its predecessor); I was also privileged to share a music-stand with him, playing violin for many a midnight Christmas mass and school operetta in the days of Fr. Bonifacio at Don Bosco; and of course he trained and conducted the wind band at Don Bosco (instructing each member to play their respective instrument, from flute to clarinet, saxophone, trumpet and French horn) and his native village of Santa Cruz. The Don Bosco school band project was a wonderful after-school music education programme at a time when such terms had not yet gained currency. Looking back on the reasons for its success, there are several factors: a. The school authorities gave it their whole-hearted support. There was a dedicated band rehearsal room on the first floor of the boarding section, where the college section exists today. It also served as storage space for the instruments. b. The band had a very good raison-d’être because there were opportunities galore for it to perform: in addition to march-pasts on school sports days etc, there were also major feasts, like the feast of Don Bosco, Mary Help of Christians, etc, and even if I remember right, after football matches c. The band members were largely boarders, although there were some day-scholars as well. This meant that there was complete control of practice schedules, and attendance at band practice was written into the after-school time-tables of those boarders in the band. You could only miss band practice if you were seriously ill; exams and the run-up to them didn’t affect music lessons, unlike now, where parents are known to take children off music lessons for a whole year, “to focus on their SSC” or HSSC or some other academic milestone. d. The most important reason, certainly, was the passion and dedication of Mestre Cota for music, his patience in teaching a motley group of boisterous boys of peri-pubertal age (no mean task, I can tell you! I have often watched their rehearsal sessions) for what must have been at best a modest salary, that sustained the school band for so many years and was the envy of other schools all over Goa. It was a labour of love for him. The downside of a whole music education programme built and sustained by just one person as its linchpin of course meant that with his demise, it ground to a halt. It would be so wonderful to revive Mestre Cota’s initiative and take it to even greater heights. But there are many learning points from that band project: If the parent organization (the school or children’s shelter) is really keen on music education, really gives it importance and sets aside protected time each day for it, and if it is led by competent, motivated and passionate teachers, the sky is the limit. And its continuity should be ensured by long-term, really forward-thinking planning. The march, in D flat major, is in rondo form, which means the opening ‘verse’ recurs, a total of three times, interspersed with two different contrasting ‘verses’: A-B-A-C-A. The B section is in the relative minor (B flat minor), while section C modulates to the subdominant major (G flat major) of the ‘home’ key of D flat major. The march got a new lease of life during the Second World War, when its tune was set to lyrics basically making rude references to the unmentionables of Adolf Hitler and his henchmen Göring, Himmler and Göbbels. It really entered popular culture after it featured in the 1957 British-American epic war film ‘The Bridge on the River Kwai’ directed by David Lean and which uses the historic setting of the 1942-43 construction of the Burma Railway by the Japanese, using prisoners of war. After the film, it is often customary to whistle out the main tune even in performance. It also seems to have ‘inspired’ Indian film composer S. D. Burman to use an adapted version of Colonel Bogey in the opening lines of the song ‘Yeh Dil Na Hota Bechara’ from the 1967 spy thriller heist film ‘Jewel Thief’ featuring Dev Anand and Vijayantimala. The descending minor third at the start of each line is reversed into an ascending minor third, but the rhythmic meter of the initial melodic lines is the same as in Colonel Bogey, as is the march-like tempo. 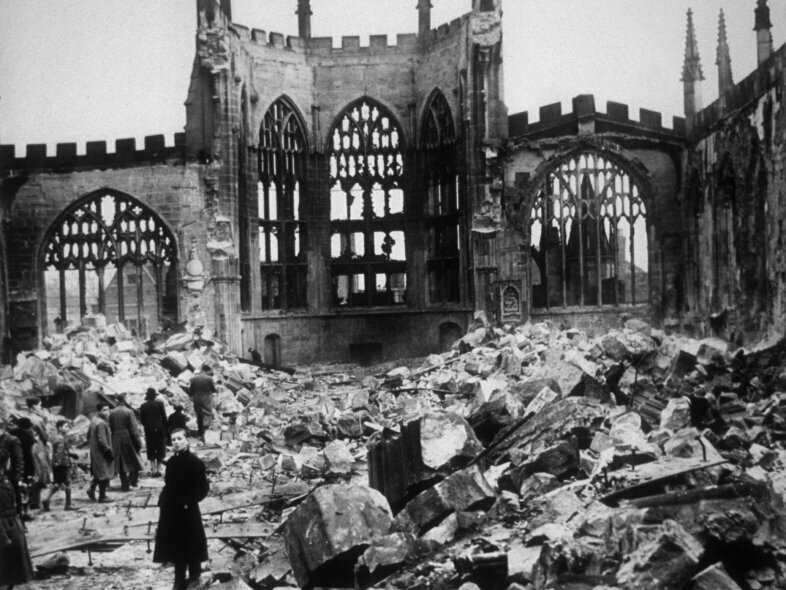 Benjamin Britten’s War Requiem was sung last month at the BBC Proms. War and Peace have been among its themes this year in view of the centenary of the end of the First World War. But I’m surprised that, although the BBC is wonderful at noting all major milestones, no mention was made of this work’s Gandhi connection during its broadcast, despite it being Gandhi’s 150th birth anniversary. I wrote about it for Scroll.in. Read the article by clicking here. Scenario 1: You are a GP (general practitioner or ‘family doctor’). A patient you’ve known for several years walks into your consulting-room and reveals s/he has suicidal thoughts, and matters have come to such a head that s/he has made elaborate plans to act upon those thoughts later that day. S/he listens to all your advice, but is unmoved in his/her decision, and swears you to secrecy, entreating that you do not contact the mental health support network. What do you do? This was a common scenario presented to those of us appearing for our MRCGP (Membership of the Royal College of General Practitioners) qualifying exam, either as a written essay, or an OSCE (Objective Structured Clinical Examination), with an actor role-playing the part of the patient. It was meant to test whether the candidate could recognise the conflict between the doctor’s legal and ethical duty of confidentiality to the patient, but also a duty of care to that patient if his/her life is at risk, even if a self-inflicted one. The challenge is to negotiate a path bearing these in mind, without loss of life or trust from one’s patient. Scenario 2: You are a Catholic priest, and the same person, your long-standing parishioner, comes to you for Confession, and tells you the same thing. What do you do? I’m not a priest, of course (although I did think seriously about it in my boyhood years, but that’s another matter altogether), so I can pass on that one. I happened to watch an episode of the six-part television drama series ‘Broken’ where scenario 2 unfolds. The actor Sean Bean plays Fr. Michael Kerrigan, Roman Catholic parish priest in an unspecified northern English city who struggles with his own inner turmoil while still trying to counsel his flock. The series skillfully brings together themes of religion, social unrest and mental health, making for powerful, thought-provoking TV drama. In this episode, Roz, a parishioner, is driven to the brink after being caught out embezzling money running into hundreds of thousands of pounds from her workplace to fuel a gambling addiction. It turned out to be gripping, nail-biting drama, with the tension ratcheted to almost breaking point. I won’t spoil it for you (in case you manage to catch a repeat broadcast) by revealing more, but suffice it to say that when it first aired in 2017, it left viewers deeply moved and brought to the fore issues around both mental health and gambling addiction, something we can relate to very much in the sordid Casino City that Goa has degenerated into. Do we even know what toll the gambling industry has had on our own social fabric, what it has done to individuals and families that have fallen prey to it? How many unbiased, comprehensive wide-ranging epidemiological studies have even explored this? There are statutory health warnings on tobacco products, and it is impossible to watch even a fleeting shot of a character smoking, on film or television, without this warning appearing as well, and quite rightly so. There is exhaustive clinical evidence demonstrating the hugely addictive potential of gambling and its deleterious effects on individual, family and community health and well-being. The DSM-5 (Diagnostic and Statistic Manual of Mental Disorders, Fifth edition) has reclassified ludomania (also termed compulsive or problem gambling, or gambling addition) as an addictive disorder, with sufferers exhibiting many similarities to those who have substance addictions. Studies have compared pathological gamblers to substance addicts (comparable to such highly addictive substances such as cocaine) concluding that addicted gamblers display more physical symptoms during withdrawal. A common feature shared by people who suffer from gambling addiction is impulsivity. Problem gambling is an addictive behavior with a high comorbidity with alcohol problems and other addictive drugs. Problem gambling is often associated with increased suicidal ideation and attempts compared to the general population. Early onset of problem gambling increases the lifetime risk of suicide. And just in case one thinks “Oh, that’s just those with a gambling problem; it doesn’t apply to me”, the slope from casual to problem gambling is a very slippery one indeed. This is why Roz’s character in ‘Broken’ rang so true. Why isn’t it mandatory for such health warnings to be issued in the public interest on every hoarding and advertisement for a casino, at the very minimum? Back in the early 1990s, I made a trip to Kathmandu, which then (as now?) was notorious for its gambling industry. My travel companions wanted to have the casino experience, and I went along with them. They lost all their money, and had to borrow from me for the rest of our trip. A wise man learns from the experience of others. I haven’t been inside a casino in Goa, and plan to keep it that way. However, on “just having a chat”, one would often unearth issues that strayed into the realm of the moral and ethical, which strictly speaking are outside the remit of a medical consultation. Infidelity in marriage or other relationships; probity in professional and public life: can a physician really weigh in on a patient’s decision-making, apart from lending a sympathetic ear and offering symptom-directed support? But you’d be surprised how often a GP is put in such a position, or the number of times a home visit is requested, on some contrived ailment, because the often-elderly or incapacitated patient is just lonely and wants someone to talk to and who will just listen to them. It struck me then, that the traumatic experience and disillusionment of two World Wars seemed to have taken Britain and a lot of Europe away from God and religion, and quite often the GP (and the psychologist and psychiatrist) in the consulting room was taking the place of the priest in the confessional. I don’t wish to apply any equivalence to these situations, but am merely making the observation. I don’t remember who it was that coined the phrase “Pills, Prayers and Promises” to describe the medical profession, but the parallels between priest and physician are many: both relationships are built on faith and have a duty of confidentiality enshrined in them. Carmen for children, and Wind-Up Penguin! It’s been two weeks since our annual Child’s Play ‘Take a Stand’ Monsoon concert on 28 July, and the heartwarming messages of appreciation continue to pour in. As many of you will be aware, we restarted our children’s choral project earlier this year with choral director Claire Hughes (UK); in a few weeks we will be joined by a choral director from Portugal, and we all look forward eagerly to welcoming and working with her. Currently we have Abigail Kitching, also from the UK, who has got our children, in the Child’s Play project and in the wider community, all excited about opera. The opera she has chosen is Carmen by the French composer Georges Bizet (1838-1875). To call it a groundbreaking work would be an understatement. Carmen must have shocked its audience at its first performance at the Opéra-Comique Paris in 1875. What would they have made of its fiercely independent, extremely ‘un-lady-like’ eponymous leading lady, tossing social conventions contemptuously into the air and scandalizing purists in the process? Perhaps understandably for its time, the four-act opera was not well-received initially; the chorus and orchestra of the Opéra-Comique after a few rehearsals threatened to go on strike, deeming it “unsingable and unplayable.” The reception in general threw Bizet into a deep depression, and he would die just three months after the premiere performance, on the day of its 23rd performance, of a massive heart attack, aged just thirty-six. 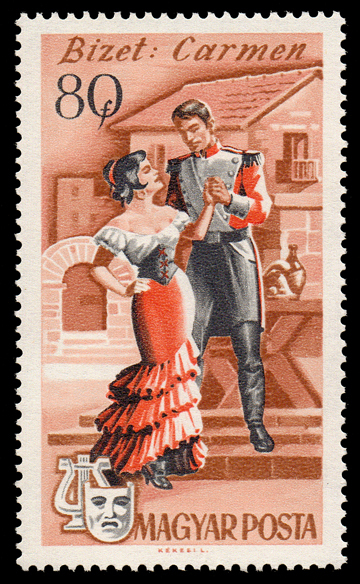 Carmen would only achieve international fame in the decade that followed Bizet’s death, and today ranks among the most often-performed and popular operas of all time. Its libretto, in French, was written by Henri Meilhac and Ludovic Halévy, and is based on a novella of the same title by Prosper Mérimée. Set in southern Spain, it is the story of the moth-to-flame attraction of naïve soldier Don José to femme fatale Carmen. José jilts his childhood sweetheart and deserts from his post to follow her, but in vain; she is drawn instead and unapologetically to the charismatic matador (toreador) Escamillo, filling José with such jealous rage that he stabs Carmen. Love, jealousy, death… all potent operatic ingredients. Bizet, who had never been to Spain, admirably imbues the opera with Spanish flavor and a host of memorable tunes, which along with the sizzling sexual tension between the two leading roles, have ensured its immortality. and the Flower song (La fleur que tu m’avais jetée; The flower that you threw at me), José’s plaintive love song from the second Act. The children are thoroughly enjoying the over-the-top drama of it all as they sing and enact the scenes. Opera when being described to an Indian audience has often been likened to Bollywood, as there’s the same exaggeration of emotional highs and lows, and the breaking into song and dance at the drop of a hat (or a flower, as in Carmen). When the children were introduced to the character of Carmen, someone who can light up a room and make heads turn and jaws drop at her mere presence, were asked to name a contemporary icon who would have such an effect today, almost all chose some Bollywood star or the other, with just a few citing a pop sensation as well. It is the children’s first introduction to opera, and will hopefully dispel the fuddy-duddiness that usually accompanies the genre. They will ‘stage’ their three scenes as part of the opening act to our next concert featuring the Wind-Up Penguin Theatre Company (UK) on Saturday 18 Augut 2018 at 6 pm, Menezes Braganza conference hall. Passes are available at Furtados Music stores and will be available at the door just before the event. Several of you will have attended our past presentations of the Wind-Up Penguins. Child’s Play has partnered with them every year since 2015. Wind-Up Penguin Theatre Company is a children’s musical theatre company, made up of a group of creative people, musicians, singers, actors and technicians from the Guildhall School of Music and Drama and RADA (Royal Academy of Dramatic Art), London. “We come together to create pieces of children’s musical theatre and then take our shows to developing countries, where we perform to children in schools, hospitals, orphanages and slums, or anywhere we can find them! We then work with the children, showing them the instruments and giving them the chance to experience live music, an opportunity many have never had before”, wrote Abi Heath, one of its members to me during our initial correspondence. It was founded in 2012 by Elisabeth Swedlund and her classmate at the Guildhall School from Romania, Ioana Macovei-Vlascceanu. She had been running a summer camp for children in a very poor, very isolated village in Romania for five years, and had always profoundly wished to be able to bring something more artistic to children who lived in places where they have practically no access to culture, art, and multiculturalism – often in less affluent parts of the world. Ioana’s parents run a school which is in contact with many charities, and they organised their first project – performing in hospitals, orphanages, and rural schools around Bucharest. The experience was life-changing for the nine students involved – they went back to Romania (with eight extra Guildhall students, so seventeen of them), the next winter. Once they realised it was relatively easy, in this day and age of internet communication, to arrange performances around the world, they started to extrapolate to countries they really wanted to work and perform in. Several years later, they have conducted more than 13 projects, and performed to over 10000 children in more than 150 different places all over the world. The Wind-Up Penguin theatre company has so far visited Romania, Bulgaria, Germany, Belgium, Greece, Lebanon, India, Brazil, Colombia and Peru. They create professional-standard musical theatre performances which they have then taken into refugee camps in Europe resulting from the current crises in the Middle East, and to hospitals, schools, orphanages and special needs centres in the countries they have visited. If their past performances are anything to go by, we are assured of a high-class interactive entertainment act for children (of all ages! ), incorporating a cappella singing, musicians, comedy theatre, balloons and puppets. So let the show begin. Just don’t let Carmen flutter her eyelashes at you. You’ve been warned, José! When a royal couple have their thunder stolen at their own wedding ceremony by a teenager, that must really take some doing. I was not among the over 2 billion people worldwide that watched the live television coverage of the wedding of Prince Harry and Meghan Markle. To be honest, I hadn’t even registered when it was scheduled, and we were anyway deep in the Mollem jungle as part of Nature’s Nest weekend summer camp for children and parents. But when we got back to civilization, it was impossible to miss the hoopla around the event, with all social media abuzz. Views about the very institution of the royal family are sharply divided, of course. Many Britons (and overseas, Americans seem to lap it up more than other nationalities) are staunch royalists, but equally many aren’t. There is an amusing video clip of a stadium-full of Celtic fans chanting (to the tune of “She’ll be coming down the mountain”), in no uncertain terms, what they think of the royal wedding, to put it very mildly. Whatever one’s viewpoint, it’s undeniable that classical music gets a huge boost at royal ceremonial occasions, be they weddings, funerals, coronations or jubilees. Through history there’s so much music written specifically for ceremonial events (think Handel’s Music for the Royal Fireworks of 1749, or his anthem Zadok the Priest written for the coronation of George II in 1727). But interest in classical music in general shows an upswing around these milestones. Indeed Decca Records will release an album of all the music performed at this wedding. The cynosure of all eyes and ears around the world at the ceremony was nineteen-year old Sheku Kanneh-Mason. If it’s a name people have trouble spelling or pronouncing, it is just something they’ll have to get used to, as his star, already in the ascendant before this (he won the 2016 BBC Young Musician of the Year award at the age of seventeen, the first black musician ever to win the award in its 38-year history), is poised now to rise to even greater heights. He was scheduled to perform in Los Angeles, but readily altered his plans to fit in the royal wedding performance after Markle personally called, requesting him to play. Sheku is only one of seven remarkable siblings, all of whom play musical instruments to an extremely high standard: Isata, 21, violin and piano; Braimah, 20, violin; Konya, 17, piano and violin; Jeneba, 15, piano and cello; Aminata, 12, violin and piano; and Mariatu, just 8, cello and piano. Isata, Braimah, Sheku, Konya and Jeneba are all studying at the Royal Academy of Music London, almost all on full scholarships, and their younger siblings are poised to join them as well. Isata, Braimah and Sheku constitute the Kanneh-Mason Piano Trio, and have already taken many prestigious concert venues by storm. Neither of their parents are musicians, although they both played instruments in their own childhood. Their father Stuart Mason has roots in Antigua, and is a business manager, working for a luxury hotel chain, while their Sierra Leone-born mother Dr. Kadiatu Kanneh is a former lecturer in literature at the University of Birmingham. So how did the musical spark turn into a flame in the family? I find such stories fascinating. It all began with the parents thinking it a good idea to begin the eldest on the piano. Not only did Isata exceed their expectations at the instrument (she got to the 2014 final of the BBC Young Musician of the Year), but she was the catalyst in inspiring all the siblings that followed, in a sort of domino effect. In an interview to the Financial Times in January 2018, their mother stresses that she was determined “never to remark on the lack of black people in classical music to our children”. Perhaps this is why Sheku grew up giving little thought to the unbalanced black-to-white ratio of classical musicians at the concerts his parents took him to; this and of course the fact that as all seven siblings played a musical instrument, he never thought that “what we were doing might not be normal”. This is the constant refrain of any journalist who’s been to their home to interview them: that there’s someone either practicing or listening to music in the house all the time, the Kanneh-Mason version of a “normal” family. The older six siblings were competitors in 2015 Britain’s Got Talent (BGT) as the Kanneh-Masons and got to the semi-finals. They succeeded in making classical music ‘cool’. “I think a lot of people think classical music is boring” said Isata in a TV interview, “but we just want everyone to enjoy it as much as we do.” This was also the comment of the BGT judges, that classical music, often seen by others as “stuffy”, was given “character, personality and fun” by the Kanneh-Masons, opening up whole new audiences among those who hadn’t appreciated it before. After winning the BBC Young Musician of the Year (and now even more so after performing at the royal wedding), Sheku has come to be viewed as a poster-boy, and ambassador for young black musicians in a white-dominated arena. Isata, Braimah and Sheku are all members of Chineke! orchestra, (which I written about several columns ago), the first professional orchestra in Europe to be made up of majority black and minority ethnic (BME) musicians, founded in 2015. Sheku has brought the cello back into the spotlight again. Comparisons are already being made by critics to the celebrated cellist Jacqueline du Pré (1945-1987), high praise indeed. The success of the CD made Sheku “the UK’s youngest cellist to break into the Official Albums Chart Top 20 with his debut album”. Incidentally, his hometown Nottingham named a bus in his honour after he won the BBC Young Musician of the Year award, and the signing of the CD contract took place on board that bus. He showed his commitment to music education by donating £3,000 in January 2018 to his former secondary school, enabling ten other pupils to continue their cello lessons. If you missed all of the royal wedding, no matter. Just get online and listen to ten minutes of Sheku Kanneh-Mason for “that natural and vibrant abandonment when playing”. It will make your day. 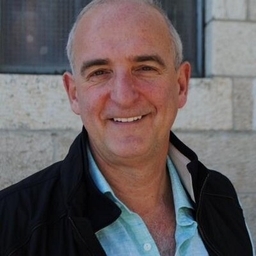 Chances are that many of you will already have heard of Eta Cohen. 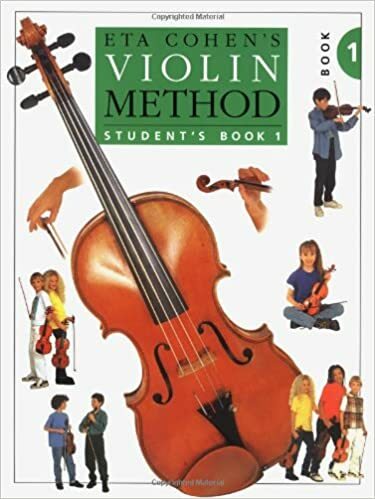 Perhaps you, like me, studied from student violin books in your childhood. Or perhaps your children are studying from them even today. My introduction to the entity ‘Eta Cohen’ began one afternoon when I was seven or eight. My violin teacher Prof. Carlos Costa asked us to buy the book from the only music shop in Panjim then, Pedro Fernandes. I had no idea who Eta Cohen was, or even if it was a man or woman, although the name sounded feminine. It’s not the sort of thing one discussed at violin class at the time. One just opened the book to where one was meant to play, and got on with it. It was a name unlike any I had encountered before. The first time I met another Cohen was much later, in 1990, if memory serves correctly. 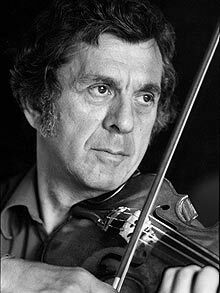 The great violinist Raymond Cohen (1919-2011) played the Tchaikovsky Violin Concerto with the Bombay Chamber Orchestra, and I was in the violin section for that concert. He also gave a duo recital with his wife, the pianist Anthyea Rael, at which the work that today sticks most in my memory is his encore piece, Jascha Heifetz’s virtuoso arrangement of ‘It Ain’t Necessarily So’, the popular song from Gershwin’s opera ‘Porgy and Bess’. It was the first time I heard the tune, or indeed about the opera, so it was my entry point to so much more in music. A few years later, I was in London, and met Cohens galore, socially, among work colleagues and patients, and musician friends in orchestra and chamber ensembles I played in around the UK. One of my hospital postings (Northwick Park) very early on took me to the vicinity of Golders Green in London, which has a prominent Jewish community. At some point around then, the penny dropped that Cohen was a Jewish surname. Cohen (or Kohen) is Hebrew for ‘priest’, and bearing the surname is thought to often indicate that one’s patrilineal ancestors were priests in the Temple of Jerusalem. Variants of the surname include Coen, Cohn, Kahn, Kohn, Kagan, Kogan, among others. Another famous Cohen, also associated with music, that I came across in my London years, and who passed away recently, was Canadian singer-songwriter, poet and novelist Leonard Cohen (1934-2016). He was told in his childhood that he was a descendant of the Biblical prophet and High Priest Aaron. 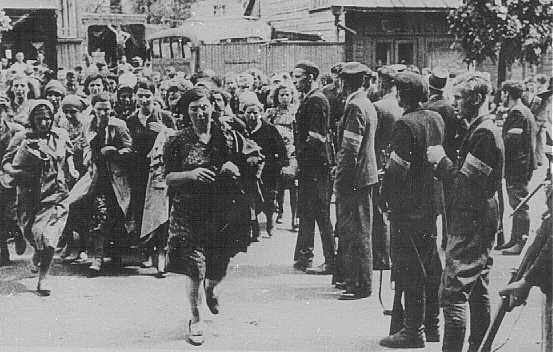 Another fact became clear to me: all the last three Cohens I’ve mentioned (Eta, Leonard and Roger) have their ancestral roots traced back to Lithuania, and all their family migrations are a tale of flight from anti-Semitic pogroms in the Pale of Settlement around the turn of the twentieth century. Eta Cohen (1916-2012) was born in Sunderland to Lithuanian Jewish immigrants. 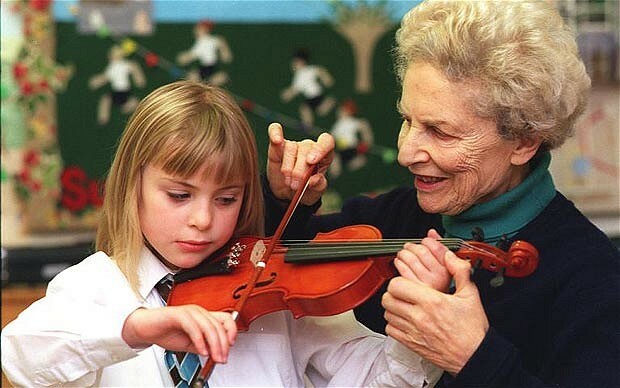 She studied the violin locally, and began teaching the instrument at sixteen, after leaving school. A year later, she was to teach at the local education authority. Unable to find satisfactory teaching material, she began to write out lessons for her students, which became the foundation for her own Eta Cohen Violin Method. This evolved into a series of bestselling student books, the first of which (‘Miss Cohen’s tutorial for beginners’) was published in 1940. 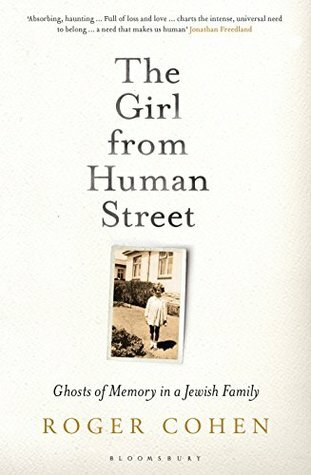 In 1945, she married cloth merchant Ephraim Smith, whose parents were also Jewish immigrants from Lithuania. During the war years, she taught at Cheltenham Ladies’ College and other schools, and took violin lessons from two great violin pedagogues, Carl Flesch and Max Rostal. In her teaching career spanning seven decades and lecture tours of the UK, US Australia and Europe, she published a total of six volumes (the last published by Novello in the year of her death at 96, in 2012) as well as repertoire books, duets and rounds, and contributed articles on string teaching and playing in leading journals. She had also been presented the European String Teachers Association (ESTA) Lifetime Achievement Award months before her death. James Murphy, director of the Southbank Sinfonia, described the Eta Cohen Violin Method as “the Delia Smith of violin methods … the much-imitated, indispensable original”. “Remember quality is more important than speed.” There is an obsession among the teaching fraternity with zipping through teaching material, with scant attention to getting the basic fundamentals right. The result is the illusion of ‘progress’, but with poor tone, insecure intonation, and very little if any phrasing, or feeling for the piece being played. This is sadly quite pervasive. “Encourage pupils to sing the music.” This also happens less and less in contemporary teaching. My generation was brought up with having to first learn and sing solfeggio, so singing our music was de rigeur for us. “Only when the pupil is accustomed to using every inch of the hair should they go on to play with various lengths and speeds of bow.” Too many more modern ‘methods’ disregard this, with the result that the eloquence of the bow, the ‘lung’ of the instrument, is underused. As new, flashy, gimmicky methods vie for attention like latest fashions, it is well worth thinking of the “much-imitated, indispensible, original” Eta Cohen Violin Method.